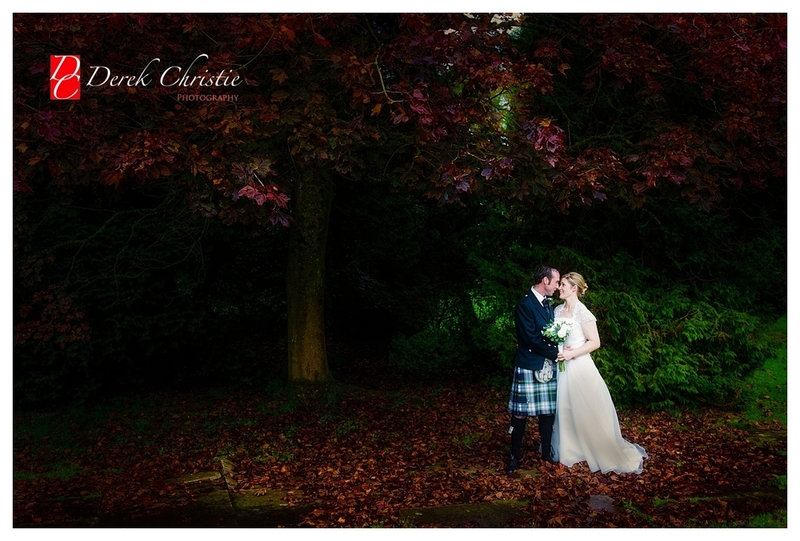 A chilly February Day at Solsgirth House for Rachael & Colin's wedding. Rachael and her family were already at the house with hair and make-up in full swing when I arrived. Colin and the boys arrived looking very smart indeed and relaxed in the bar while they awaited the arrival of the guests.It was a beautuful ceremony and afterwards we headed outside but under the shelter of the arched walkway at Solsgirth as the rain had started in earnest. It was pretty wet but with some stragtegic positioning and a couple of brollys we got some lovely outside shots. Then it was off to the marquee where the bride and groom danced the night away. Solsgirth House is a hidden gem of a wedding venue just outside the picturesque village of Dollar in Clackmannanshire. It has every thing you could possibly want from a wedding venue with it's spacious grounds and elegant interior. Becky & Tom's wedding was a fun packed day to say the least. Tom is a farmer by trade and needles to say the boys were hilarious all through the day. Even the ceremony was fun as the celebrant had us all laughing along which was exactly how Becky & Tom wanted it. After the family photos on the unique stone staircase that leads up to the lawns, I managed to get some lovely portraits of Becky and Tom before the speeches began. Afterwards, everyone danced the night away while I slipped away around 9pm. Believe me, I was so tempted to hang around at this one... It was brilliant!